Every hard disk drive will crash eventually. It’s only a matter of time. If you find that you need hard drive recovery services, then you should look to a company you can trust. Hard drives store so much of our lives these days it becomes a bit unnerving when you really think about it. From medical records, to business files, to years of family memories in the form of pictures and videos. Unless you have an absolute foolproof method of backing up your data, then you are opening yourself up to the possibility of major heartache at some point. We specialize in hard drive data recovery. We can work on every type of hard drive crash, including the most severe issues such as fire and flood damage. Hard drive recovery is not 100% successful in every case, and it can be quite expensive. If you haven’t suffered a hard drive crash yet, consider yourself lucky and use this time to develop a solid backup solution. If have been unlucky enough to lose everything because a hard disk failed, then find out how we can help you get your information recovered. Our company specializes in hard disk repair and data recovery. That is all we do. We don’t work on computers, we don’t offer network or IT support, we only work on failed hard drives. 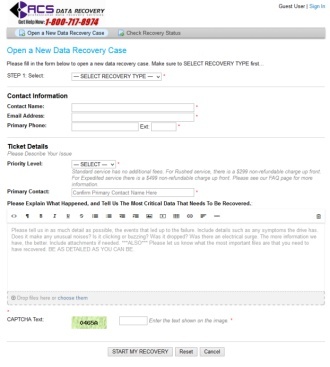 When a hard drive crash occurs, you may attempt to recover the data yourself. There’s a lot of information on the Internet offering DIY tips when it comes to hard drive data recovery. We even have a video that goes into detail about how to do data recovery yourself on a specific model Seagate hard drive. However, if your data is critical, then it’s important you entrust your damaged hard drive to a company that can actually recover your information without taking the risk of making the situation even worse. Hard drive recovery services are hard to shop for, because there are so many marketing gimmicks that are used to entice consumers. You will see the terms “success rate“, “ISO” and “certified” thrown around a lot. Does this have any effect on how effective a company is when it comes to data recovery? Not really. A lot of companies throw around these buzzwords, but then they charge you a variety of different fees if they can’t recover your data. Hard drive recovery is a specialty. You want a company with a proven track record of service. We provide our data recovery services to clients all over the world, and we do so without getting paid…unless we can actually recover the data. Repairing hard drives is a specialty. It’s a skill that can’t really be taught, or learned in a short period of time. It takes practice, and most of all it takes knowledge. Hard drive repair is often thought of as normal computer repair work, like something your local computer shop would be able to do. Nothing could be further from the truth. Hard drives are some of the most complex devices we use in today’s society. Having a clean room or the right tools is really only a small part of the overall equation when it comes to hard drive repair. You also need to have the knowledge to know that you are fixing the correct components, and you have to know how to do it without further damaging the drive. When it comes to hard drive data recovery, the first step is proper diagnosis. It cannot be stressed enough how critical this first step is. It’s not uncommon for a hard disk to exhibit symptoms of a physical problem, but in reality it is suffering from corruption within some of the firmware modules. 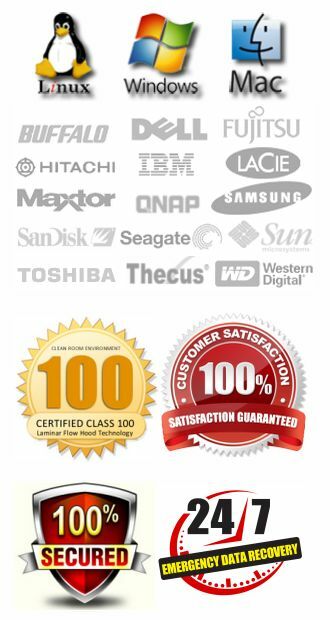 We don’t charge anything to evaluate any type of storage device. So you are more than welcome to create a new data recovery case and submit your media to us for evaluation. This way you can have a professional diagnosis completed, and you can then decide if you want to proceed with the recovery attempt or not. Once a hard drive is diagnosed, then the repair methods can be initiated. The steps included may involve our company ordering a compatible parts drive. Even though we have thousands of hard drives in stock that we use for parts, it is almost impossible to keep every type of hard drive in existence. After a technician secures the necessary parts drive, we will then go through a process of physically repairing the hard drive. This usually does not result in the disk operating at pre-failure levels…usually there will be at least some degradation in performance. It is merely an effort to get the drive functional enough so it can be imaged. The imaging process serves two primary purposes. It allows us to ease the stress on the drive so that we don’t force it to work too hard. A hardware imager controls firmware parameters, and we can eliminate much of the function that pushes the drive too hard, which extends the life with the replacement heads installed. It also creates a sector-by-sector clone of your hard drive, onto a perfectly good hard drive. From there we pull the data from the cloned copy. This not only protects your original source data, but it also keeps us from having to recover data from a hard drive that might be on the brink of failing again. Our imaging stations put very little load on the damaged disk, so that we are able to get as much data as possible. After the drive is imaged, we will then rebuild the file structure and the data can be recovered and transferred to the media of your choice. Click here if you need data recovery services on any other type of storage device.